Three years ago, I last visited the TWiT Studio in Petaluma, California. 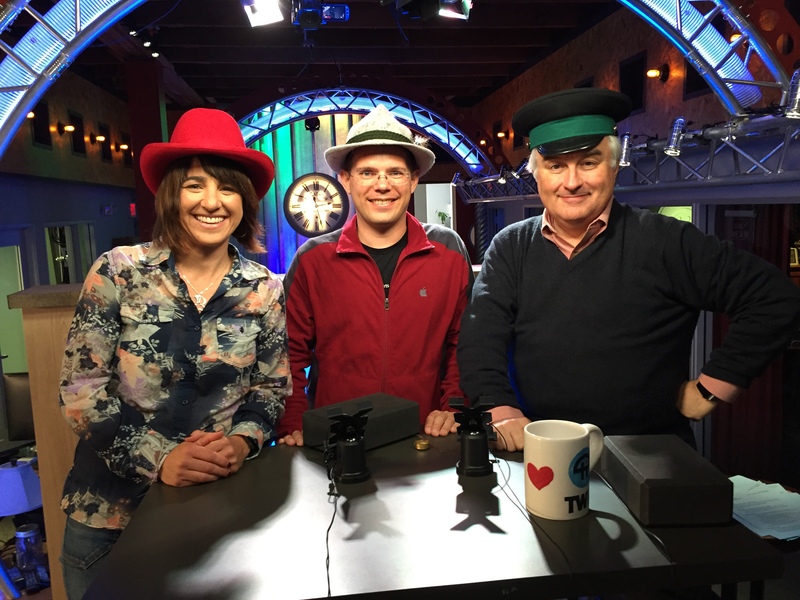 Located one hour by car north of San Francisco, the “TWiT Brockhouse” is well worth visiting if you are a fan of the shows that Leo Laporte and his team are producing there. I was guest on their show following the WWDC week. iOS Today, formerly known as iPad Today, is hosted by Megan Morrone and Leo Laporte. Both are seasoned media professionals who know each other from more than 12 years ago, when they did the Screen Savers TV show together. My strategy was to offer myself as guest to report on iOS 9 at a time after WWDC, when probably no other developer would still be in San Francisco. Usually WWDC attendees flee the scene as soon as the conference has wrapped, but I stuck around because I couldn’t get an earlier flight. gulp but he’s the boss. So I condensed my script to talking points that fit on two pieces of paper. We ended up only using the first one of these. Here you can see the result where I provide my developer’s perspective on iOS 9. I hid an ad for my book in there, as well as a reference to the social network prod.ly for which I am the developer evangelist. After the end of the show Megan and Leo posed with me for pictures. I even got to sign the guest wall with a greeting. After that I stayed for some more time when studio manager John Slanina gave me the VIP tour and told me a couple secrets about TWiT. I watched Megan record another show and then left for San Francisco so that I could return the rental car on time.